Is accounting for your business holding you back? Do you find it time-consuming, costly and difficult? 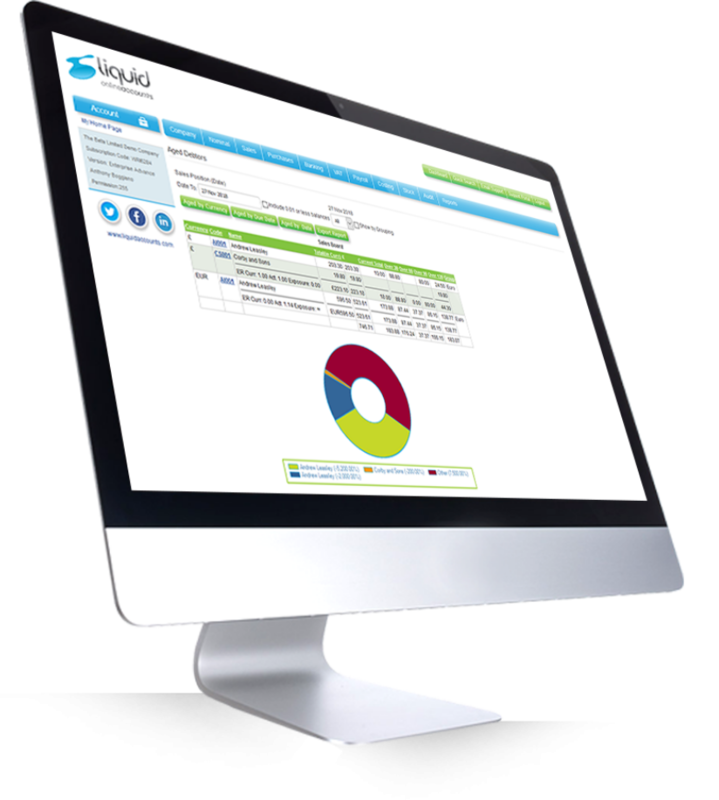 Liquid Accounts have eliminated the stress of bookkeeping for thousands of users – and we can do the same for you. Experience cloud accounting software that truly fits your business. We designed Liquid Accounts to be flexible enough to meet your needs, no matter what stage your business is at. As your organisation grows and those needs develop, our bespoke software can adapt and grow with you too. This module includes the ability to create a Bill of Materials, track stock and use multi-warehousing. There are also e-commerce integrations and advanced reporting to keep your shareholders happy. Keep track of the cost of each job or project per invoice raised and per employee for accurate forecasts. Create and control complicated assemblies across multiple sites. Elite reporting with a module that provides you with an optimised chart of accounts. Go green – produce and share all documents electronically. Searching for a bespoke solution? Make your business digital today. In order to grow, businesses need accounting software that’s versatile and scalable. Our custom cloud solution is just that. Integration with a number of platforms, tools and CRM systems, sophisticated report-generation and automation… our software brings it all into one easy-to-use cloud application. Successful business models have intricacies that off-the-shelf accounting products can’t support. With Liquid, any organisation – from multinational companies to accounting practices – can unify their processes through our layered installation approach. Pay annually or in monthly instalments under a 12-month contract, whichever is more convenient for you.